27 Holes + Extensive practice facilities including a new dedicated short game practice area. 4 Full Floodlit Tennis Courts with discounted rates for Tennis Club Membership. Excellent clubhouse, bar and restaurant facilities. Please note that from the 29th of April to mid-June there will be major roadworks on the Balcarrick Road, which may result in delays getting to and from Donabate Golf Club. It is advisable that members and visitors use the Corballis Road during this time. Please click here to read more about the major roadworks scheduled for the Balcarrick Road. Please note that the Corballis Road will be closed from Saturday 30th of March until Saturday 27th of April inclusive. See Map below for details of the closed road. 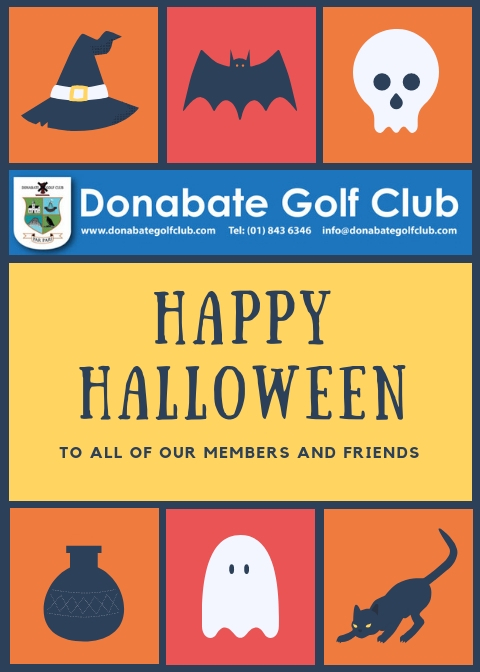 Please follow the Blue route to Donabate Golf Club. ​​In addition to Tim O’Connor as independent Chair, there are eight other Board Directors, four nominees each from the GUI and ILGU. A musical evening with the bohemians – Free Entry! We would like to invite all our members to come and join us for an informative evening with regard the new changes to the Rules of golf. This event will take place on Wednesday the 27th of February at 8pm in Donabate Golf Club. We would like to thank the GUI and ILGU for providing us with this service. Tea / Coffee will be provided beforehand. 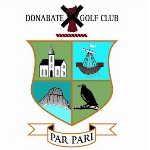 Please note that the Local Rules at Donabate Golf Club have changed with immediate effect. The New Local Rules are posted in the Gents and Ladies Locker room and on the Whiteboard next to the Shop. Please read them carefully before your next game. In the light of a request from members to play more singles competitions on Sundays, the format of the Sunday Spring League has been changed to a singles format similar to the Saturday Singles League. The revised league will now commence on Sunday next, 10th February and run through till Sunday, 31st March. The Gents Spring League starts on Sunday 27th of January. • Spring cuts do not apply to league scores. • 8 weeks from Sun 27th Jan – 17th March inclusive. • Weeks 1,2,3,5 & 6 will be a 2 Man Team, best pair score to count each week. • Weeks 4 & 7 will be singles stableford with your teams best 2 cards counting. • Week 8 will be a 4 Man Team with 2 scores to count on each hole. The final draw will take place on Sunday 16th of December. The Winter League was sponsored by Gallant Security Systems. Winter League Champions – The Four Non Dubs by the skin of their teeth! Best 6/9, 5/8, 4/7, 4/6, 4/5, 4/4 cards. Looking forward to another exciting League again this year so get your entries in and add another competitive element to your Winter golf. Please note that Gents “Winter Cuts” began on Sunday 28th of October. There will be a 2 shot cut per prize winner. Please note that “Winter Cuts” do not apply to Opens or Winter league. Golfer of the Year – 1 Week to go! The Golfer of the Year Competition comes to an end next Saturday 27th October. Throughout the year, it has been a keenly fought contest with a number of competitors in the mix. In the past few weeks, Daragh Kelly, Mark Lawlor and Dermot Bradfield have had a great battle. While Daragh currently has a lead, it is possible for Mark to just pip him on the final day. With best wishes to both. Successful participation on this day by the juniors held on the 1st of September. Sean Bollard, Rory Gallagher, Theo Matthews, Finnan Holland, Ollie Brooks, Sean Kane, Luke Molloy, Macdara Matthews, Cian Kavanagh, Brian Kavanagh, Vincent Bell, Josh Higgins, Clyde Burke, Cormac Burke, Jamie Whelanand Sean Collins. We were third; St. Anne’s won the overall competition. Team 2: Ella Moynihan, Eva Murphy, Niamh Neville. This was held on Sunday the 23rd of September at 15.00 hours. A scramble for all juniors was organised. Prize giving took place at 19.00 hours and parents/ guardians and family were invited along for this special event. President Pauline Byrne, Captain Paul Flood, Lady Captain Carmel Tuck, Lady Vice Captain Grainne Synnott, John and Evelyn Galvin, Aileen and Damien Hanratty. Marian O’ Gorman, Mary Berrigan. What a great day was had by both parents and members at our Annual Final Summer Season Golf for juniors held on Sunday, 23rd of September in the club. All juniors participated in a scramble followed by a prize giving ceremony and all of the participants were delighted with their awards. Skills Competition 3 nearest the pin won by Michael Delaney. Words of thanks were expressed again to all of our sponsors for their generous support and of course to the Junior Committee for their hard work, commitment and dedication to our young golfers which is led by our Junior Conveyors, John Galvin and Aileen Hanratty. After 4 sets of matches over the summer, 3 teams were tied at the top. Clontarf, Malahide and ourselves. A tense day ensued in Clontarf which was the final venue. At the turn we were ahead in one and behind in the other three matches. While holding on to the match we were ahead, we managed to turn 2 of the others around and gain valuable wins with Cormac Burke holing the winning putt on the 18 to give Donabate the Trophy. Even though each match only needs 8 lads, we used 16 in total over the 5 rounds on the competition. Clyde Burke, Jamie Whelan, Sean Collins, Josh Higgins, Sean Bollard, Cian Kavanagh, Cormac Burke, Ollie Brooks, Rory Gallagher, Theo Mathews, Brian Kavanagh, Finnian Holland, Vincent Bell, Sean Kane, Luke Molloy and Macdara Mathews. This is a joint competition across Facebook and Twitter with just 1 winner. The competition is open to residents of the Republic of Ireland and Northern Ireland. The winner will be notified by email and/or DM on Twitter/Facebook within 28 days of the closing date. Create your own team of 4 players (Men only). Teams pick their team name. Paper entry sheet at bar & club shop. (Closing date for entries: Fri 12th October). €20 entry fee per person. Junior rules apply (also only 1 junior per team of 4 permitted). Five Day Members not eligible to enter. Committee will put names on BRS at closing date and entry fee will be taken through BRS so please make sure you have enough money in your account. Make​ ​sure​ ​also that your​ ​team​mates​ ​are​ ​all​ ​topped​ ​up​ ​so​ ​you​ ​can​ ​get​ ​on​ ​sheet​ ​together easily. If you don’t have 4 players, put your name down anyway and the committee and shop will assist in completing a team for you. Weeks 1, 2, 4, 6 and 7 will be various 2 Man Team formats whilst weeks 3, 5 & 8 will be 4 Man Team events. Teams decide pairings each week in 2 Man events with the best pair from team each week counting for league points. If only 3 from a team is available on a given week then the usual low man rule applies and therefore the team can have 2 pairings with the low man partnering both of the other 2. Minimum of 2 from a team required to play each week. (otherwise zero league points). If both players score 3pts on a hole the result will be 3×3=9pts. If both players score 2pts on a hole the result will be 2×2=4pts. If one player scores 1pt & the other scores 2pts the result will be 1×2=2pts. If one player scores 0pts and the other scores 2pts the result will be 0x2=0pts. The​ ​secret​ ​is…​ ​don’t​ ​scratch​ ​a​ ​hole​! On weeks where a 4 Man Team is played the same points system is applied. Teams missing a player on a given Sunday, can play with 3 players. A 4th player (non league player) can play on that team but only for weekly competition purposes and 2 cards must be marked. (4 cards if it’s a 2 Man Team). If only 2 from a team on a weekly timesheet with no opposition they may play and mark their own card. If any course closures happen during the league, the following applies, 5 from 7wks, 4 from 6wks, 4 from 5wks and so on. No handicap cuts for league. Cuts only apply for weekly competition purposes. Each week you must enter separate cards for the league and the competition of the week. Therefore on a 2-man competition week, there will be 2 cards for the 2 league pairings and a further 2 cards for the 2-man competition of the day (note that winter cuts apply to the competition of the day and not the league). Each weeks competition can be played by league and non league entrants. John Hannon and Pat Brennan Won, well done we won the best cup! We are delighted to announce the times of this year’s Matchplay Finals, which will take place this Sunday (9th of September) on Red-Blue. Why not come along on Sunday to support these fine players. Presentation of prizes will commence at 6:30pm on Sunday evening. Best of luck to our Best Cup Team in the Second Leg of the Final on Sunday 9th of September from 1:30pm in Charlesland (Greystones). Support would be greatly appreciated. 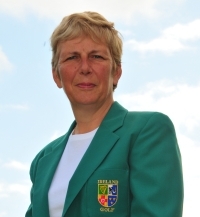 Congratulations to Pat Doran who has been selected on the Team to represent Ireland in the European Senior Ladies’ Team Championship, which will take place in the Mont Garni Golf Club, Belgium on the 4th-8th of September. Nineteen teams from all over Europe will compete, all hoping for victory. This is a great achievement for Pat and we are all very proud of her. Everybody in Donabate Golf Club wishes Pat and Team Ireland the best of Luck and every success in the Championship. Well done to our girls winning the St Anne’s leg of the Seamus Smith Cup last Monday. The team was: Eva Murphy, Niamh Neville & Keela Neville and Ella Moynihan, Aoibheann Davis & Elana Crosbie. The final of the Fingal girls trophy in being held in Forrest Little GC on 24th August. It’s all to play for with only 2 points separating the top 3 teams. Donabate and St Annes are on 30 points and Malahide are on 28 points. The team is Junior Captain Kate Hanratty, Hannah Moynihan and Jennifer Boland. The very best of luck girls , play well. Well done boys on finishing in joint third place in the Boy’s Fingal Trophy. The lads had a super time visiting 8 different courses in North Dublin over the last 2 months. A special thanks to John Galvin, Noel Costello and John McGillacuddy who looked after the boys every week. Without this dedication from our Junior committee our lads wouldn’t get this great opportunity. The boys have played in 4 outings in the Maura Walsh Cup – Donabate, St Annes, Beaverstown & Malahide. Donabate are lying in joint 1st place with Malahide and Clontarf. Final day in Clontarf in September. Have you ever wondered about the meanings of those weird and wonderful names we have on our scorecards for each hole on our course? If you have, please read on. If you haven’t, please read on… you might learn something new! Approximately 11 years ago a crack team was assembled at the request of the 2007 Captain John McGroddy, to give local names, where appropriate, to each hole on each of the three nines of our golf course. It was an excellent idea and one which set out to preserve local field names, some of which were in use for centuries and which were in danger of being forgotten by future generations. That crack team consisted of Peadar Bates (author of a “History of Donabate” and former member of Donabate Golf Club), Des O’Shaughnessy (our club historian) and Captain John McGroddy. Peadar, with his great depth of knowledge on the history of the area, played a huge role in naming at least 50% of the holes. John’s excellent grasp of the Irish Language, and Des’ amazing knowledge of the club provided the remaining names. A great thanks to Des who provided me with great detail, and without his help this wouldn’t have been possible and may have been lost forever. So, what do these names stand for? In order to see the detail, simply navigate on our menu to “About us”, then “The Course” and from there you can view the guide for each nine (details of names can be found under the scorecard). National Breast Cancer Research Institute “Play in Pink Day” Open Fourball Better Ball Competition. Prizes: A two Lady Team will win first prize and will be eligible for selection to “Play in Pink” in the National Final in Athlone in October. The top 20 best scores from golf clubs around the area will be selected to play. The Ladies Team with the best gross on the day will also go forward for selection. There will be a prize for the best men’s team. Be in the pink on Play in Pink Day. The shelves of Penny’s are ripe for plundering. There is a plethora of pink products waiting for you all to come and choose your outfits. Best pink person’s outfit for the ladies and also best man in pink will get a prize. To help increase funds, there will be a raffle on the day. Donations of prizes for the raffle would be gratefully received. If you can’t be there to play on the 19th you could send a Securicor van up with a request for some or many raffle tickets. Our Girls did Donabate proud playing in the Interclub Girls Matchplay in Tulfarris GC last week. We played Edmondstown GC on Wednesday morning and won 2 ½ matches. We then played Kilkenny GC in the afternoon and won 2 matches. We were back out on Thursday morning for the Leinster semi final and played Mullingar GC. We had a hard fought battle winning 1 match on the 18 but losing the other 2 on 17. Well done Junior Captain Kate Hanratty, Nicole McGavisk, Hannah Moynihan and Kailey Berrigan. We hosted the Fingal Girls Trophy last Friday in Donabate. 47 girls from 10 different clubs played on the day. Donabate finished 3rd in the team event and are tied in 1st place with St Annes. The final is in Forest Little 24th August. So it’s all to play for! The boys played in Corrstown last week and The Island this week. We are still lying in 3rd place overall. The summer must be nearly over with the final outing in Beaverstown next Monday. Best of luck lads. The boys have played in 3 outings in the Maura Walsh Cup – Donabate, St Annes & Beaverstown. Donabate are lying in 2nd place, 1 point behind the leaders Clontarf. Next outing Malahide.